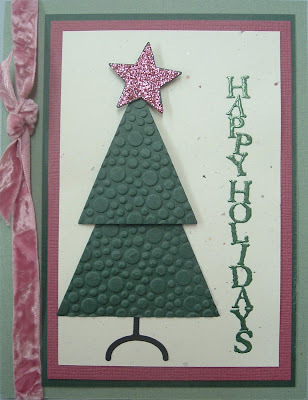 This 'happy holidays' card, created by Mom (Julie) uses new crushed velvet ribbon & shapes from the Merry & Bright QK gift set, plus a star & some goosebumpz by QuicKutz. 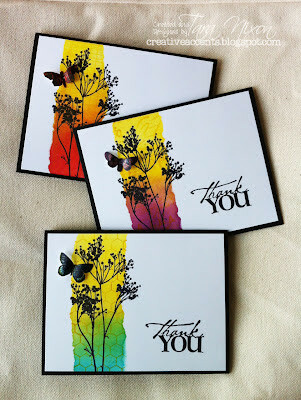 I had fun making the 'just a note' card, featuring one of the newest Bellas in our store, snowbunnybella. 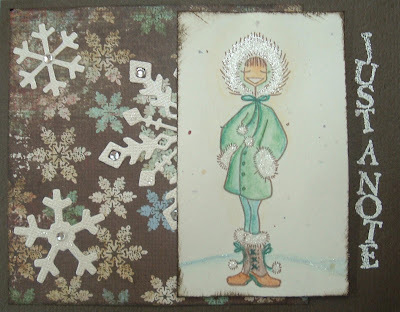 I think she looks great with this paper by My Minds Eye, some snowflakes from QuicKutz and glitter glue trimmings! 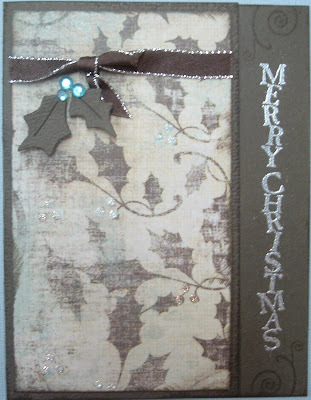 This is another simple card which Tanya & I worked together on. 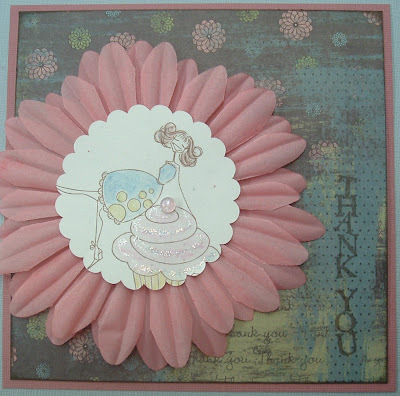 I love how the print of this Karen Foster 'thank you' paper houses the greeting so perfectly- what could be sweeter than cupcakeabell?